When he was around 13, Robert Charles Guidry began singing with a band around his hometown of Abbeville, La., deep in the Cajun swamps. The group played Cajun and country music and, after he passed through town and played a show, Fats Domino's music. It was a life-changing experience for the young man, and he found himself with a new ambition: to write a song for Fats. One night as he left a gig, Charles said to his friends, "See ya later, alligator," and one of them yelled back, "In a while, crocodile." Charles stopped in his tracks. "What did you say?" he asked. The friend repeated it. At that moment, as would happen countless times in the future, the song "See You Later, Alligator" came to him, fully formed. Fats didn't want the song, and told the young man he didn't want to sing about alligators. Somehow, though, the kid wound up singing the song over the phone to Leonard Chess, whose Chess Records in Chicago was the hottest blues label in town. Chess didn't hesitate: He sent the kid a ticket, and when Charles showed up at his office, Chess said something I can't say on the air. The sentence ended with the word "white" and a question mark, though. 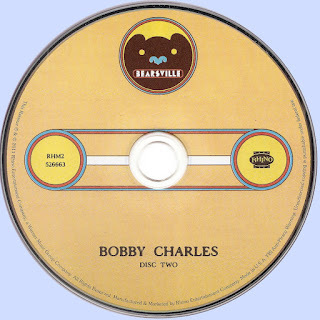 Chess recorded him, though, and put the song out, changing Guidry's name to Bobby Charles; almost immediately, Bill Haley grabbed it for himself. Haley's record was one of the best sellers of 1956, and both Chess and Charles made some decent money from it. They tried follow-ups called "Watch It, Sprocket," which wasn't something people actually said, and "Take It Easy, Greasy," which was, but the record was a little too, well, greasy to be too popular. Charles recorded for Chess until 1958, but his records only sold locally. Along the way, though, he seems to have pioneered a genre called swamp pop. He also got to realize a dream. One evening, Fats Domino played Abbeville, and Fats invited Charles to a show in New Orleans. The young singer said he had no way to get there. "Well," the fat man said, "you'd better start walking." And sure enough, a song popped into Charles' head: "Walking To New Orleans." 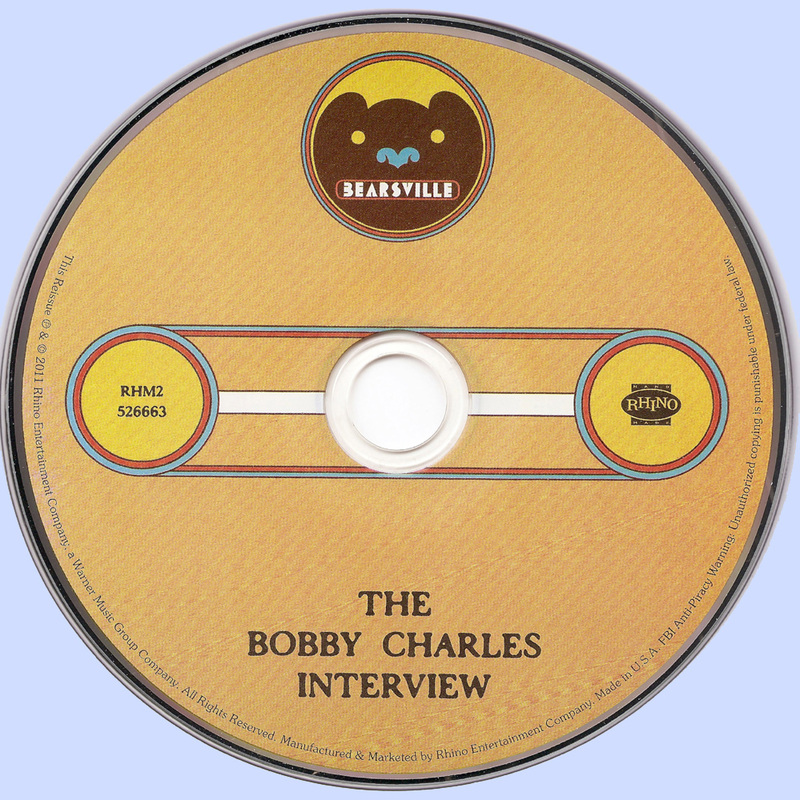 Bobby Charles signed with Imperial, Fats' label, but again, nothing hit. He admitted freely that he was part of the problem. He didn't enjoy touring, and he had a jealous wife who didn't like him leaving town. He continued writing and selling songs, and recorded for some local Louisiana labels. He and his wife parted company, and then, in 1971, he got busted for pot in Nashville. Rather than risk jail, he disappeared; he wound up in upstate New York, and saw the name Woodstock on a map. He'd never even heard of the famous festival, but the name appealed to him. Arriving in town, he asked a real-estate agent about a place to rent and wound up in a house shared with two other musicians. They introduced him around, and Albert Grossman, who'd managed Bob Dylan, Janis Joplin and many others, got interested. The next thing he knew, Charles was back in the studio with members of The Band, Dr. John and lots of other Woodstock musicians. The resulting album has some truly memorable moments. It didn't sell, though. Charles focused on songwriting, but he wasn't comfortable in Woodstock, and in the end he went back to Abbeville, where he disappeared from public view for an entire decade. He had a good income from his songs, but a run of bad luck: His house burned down, and then his next house blew away in a hurricane. He kept writing songs, and he entertained visitors who came to Abbeville to meet him — people like Bob Dylan and Neil Young and Willie Nelson. His record label, Rice 'N' Gravy, put out several homemade albums, which mixed his old and new songs. 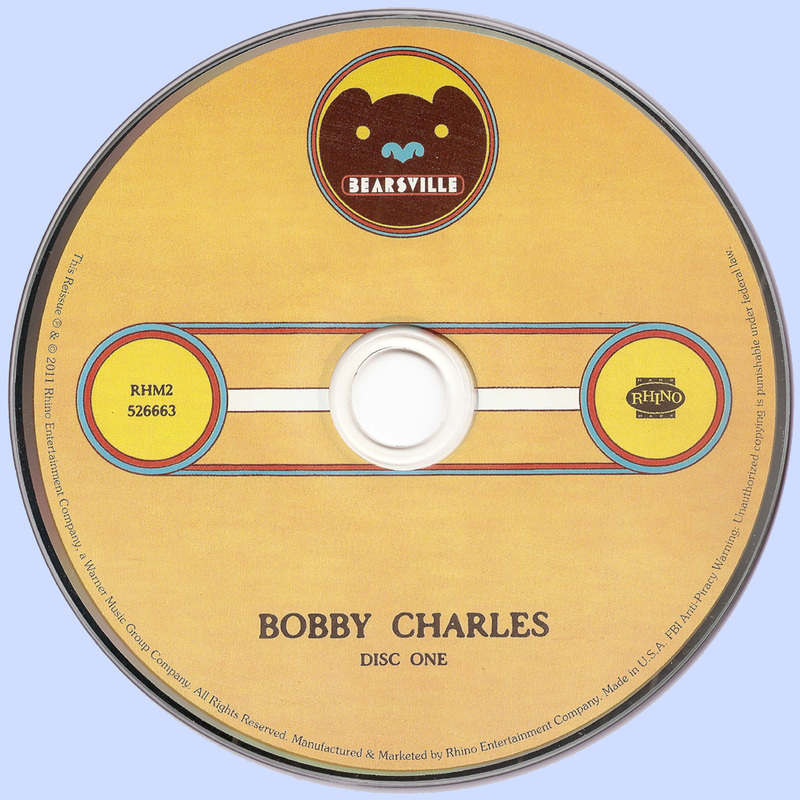 At 70, Bobby Charles was diagnosed with cancer, and he died in January 2010, unknown to most of the world he'd enriched with his songs. Reissued here as a wood-paneled box set with 25 bonus tracks, Louisiana singer Robert Charles' lone album from the 1970s, featuring four members of the Band as his backup group, is one of the most sublime Americana records ever cut. 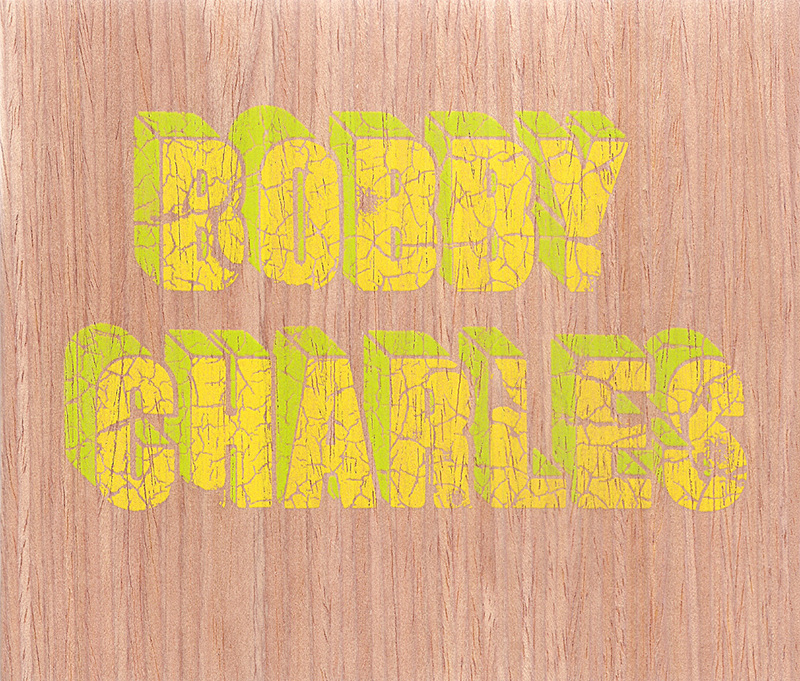 On the third disc of this wood-paneled box set of Louisiana singer Robert "Bobby" Charles Guidry's lone album from the 1970s, there's a half-hour interview with radio disc jockey Barry Hansen, better known as Dr. Demento. They laundry-list the records released that week in 1972, ranging from a posthumous Jimi Hendrix LP to John Fahey, Tim Buckley, Bonnie Raitt, Nazareth, Wet Willie, and Martin Mull. To which Bobby Charles comments in his gentle, stoned Cajun drawl: "It's too bad, a lot of good ones just have to get lost. It's unexplainable, but they just do." To which Hansen replies: "Well... a lot of times they get picked up the second or third time around." Warm and crackling as a campfire, easeful and understated, all of it suffused with Charles' nuanced blend of humor and empathy, this 1972 eponymous album was one of the "good ones" that got lost. Think of this as the second or third time around for the album to finally find its people-- and there should be plenty of them. Considering that 4/5ths of the Band served as Charles' back up group here (augmented by Dr. John and Neil Young pedal steel guitarist Ben E. Keith), this is-- simply put-- one of the most sublime Americana records ever cut. 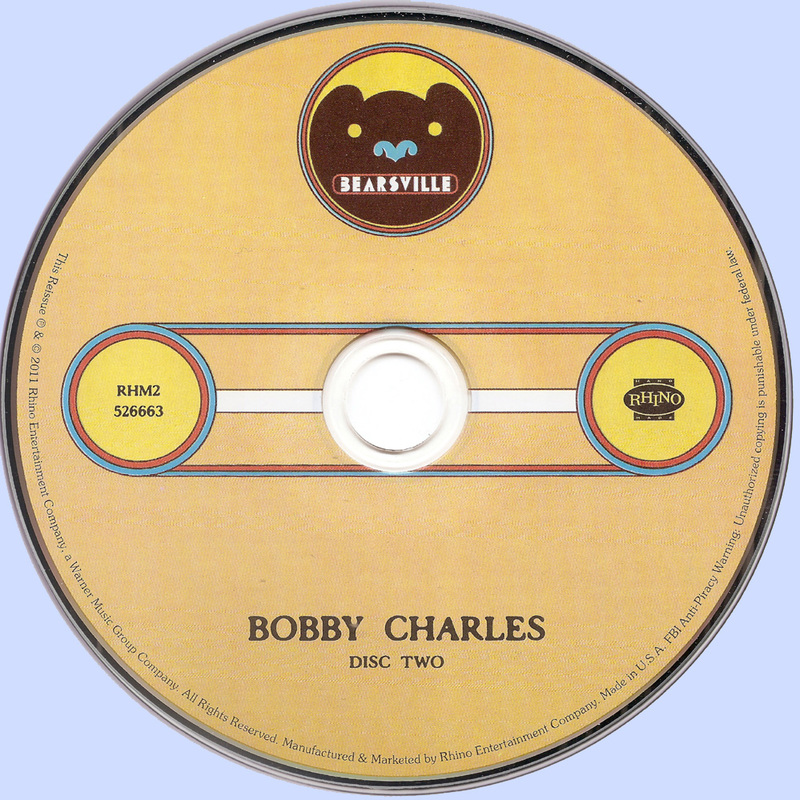 Charles' story started two decades earlier, when he wrote and recorded R&B standards like "See You Later, Alligator" and "Walking to New Orleans". The story goes that Chess Records signed the then-14-year-old sight unseen after he sang them "Alligator" over the phone. When he arrived in their Chicago offices, though, Leonard Chess flipped out: Not because Charles was underage, but because he was white. After touring through a pre-integration South, he wound up in Nashville by the late 1960s. A marijuana rap led him to head further north, where he ultimately fell in with the musical community centered around Woodstock, N.Y., recording at Dylan manager Albert Grossman's Bearsville Studios. From the opening twang and snare snap of "Street People", it's clear Charles' songwriting acumen had grown beyond his early R&B roots. Over the slinking beat, he details an itinerant life of what one would label a "bum." But rather than spin some tale of hard luck and woe, Charles makes drifting from town to town and panhandling for spare change sound idyllic. "Wouldn't trade places with no one I know/ I'm happy with where I'm at," he drawls. A cowbell accents the punchline: "Some people would rather work/ We need people like that." Elsewhere, there are organ-gurgling numbers about new love and community gossip, lilting ballads about watching butterflies, honking barroom numbers about growing old, and gentle, country-tinged numbers about spending all day in bed with your honey. And then there's the ode to Jesus to save him from his followers. All of it gets delivered with a sly grin and at a pace with which you might sip a beer on a back porch, cast a fishing line into a creek, or barbecue a rack of ribs: slow, unhurried, a sunny afternoon ahead of you. Some 25 previously unreleased tracks augment the original 10-song album, ranging from the pleasant to revelatory. 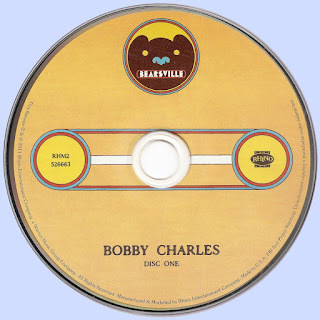 There are differently mixed singles, three songs released only on a Japanese box set, some half-baked songs, but also the sound of Charles' shuffling toward a follow-up album that he never quite got around to finishing. Or, as he put his M.O. on one chorus: "(I'm) staying stoned and singing homemade songs." There's the Band's telltale funk on "Why Are People Like That? ", Dr. John's piano commingling with Garth Hudson's gospel organ swells on the elegant crest of "You Came Along". Fans of Will Oldham's Arise Therefore will swoon for demos of Charles dueting with the Band's Rick Danko over a sputtering drum machine. When this set was originally made available through Rhino Handmade back in August (it's in stores now via distribution partner Light in the Attic), mid-album track "He's Got All the Whiskey" was already an album highlight. So it's uncanny hearing both it and "Street People" in a post-Occupy mindset. About as loud as "Chappelle's Show"'s intro, Dixieland horns, Danko's bass, and a snare's pop skitter about as Charles gripes: "He got all the money." It, of course, follows that "The Man" also has all the "whiskey/ power/ women," the biggest crime of it being that "he won't give me none." 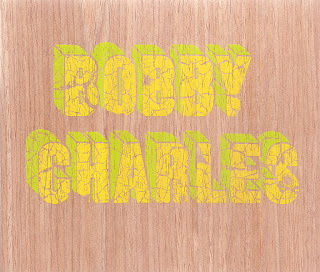 It's a simple protest from Bobby Charles-- good-natured at its heart-- and hopefully it won't get ignored this time around.